Hyway Brand aftermarket chainsaw parts have been trusted by both novice and professional arborists for years. The company is very responsive to end user feedback, which means an always improving product and some of the best replacement chainsaw parts available on the market. Hyway is also known for quickly developing parts for new saws, and keeping parts for old saws available long after the saw has been manufactured. Waiting weeks or months for an original manufacturer replacement part usually isn't an option, especially for professionals, and with Hyway parts, it also isn't necessary. In addition to these models, HLS Pro Parts has Hyway replacement parts for many other models, and we are always adding more; browse the most recent selection here. 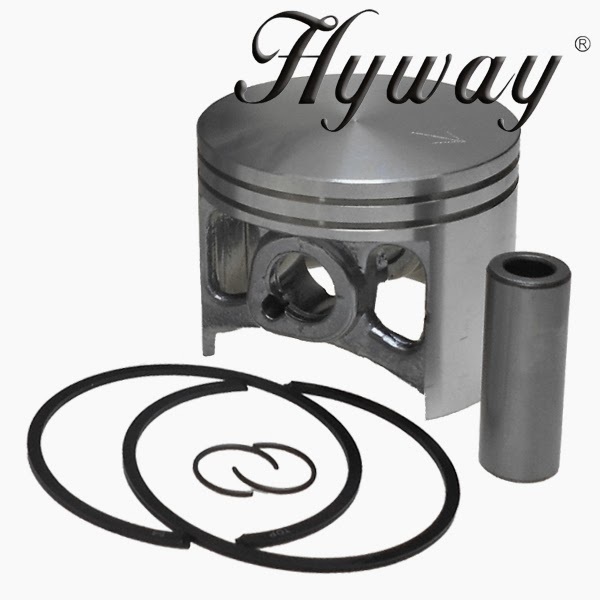 Hyway is known particularly for their cylinder & piston assemblies. Experienced chainsaw owners know that just because a saw isn't running doesn't mean it's useless, and fortunately brands like Hyway provide parts that can have a busted saw running like new. Made from Nikasil, Hyway cylinders and pistons will last for years no matter how hard you plan on running your saw. Visit our Hyway page for our complete selection of aftermarket parts from Hyway. With aftermarket parts of this quality, you won't need to buy expensive OEM parts next time your chainsaw engine needs a rebuild.